When starting a chicken husbandry at home you might wonder if it would be simpler to purchase adult hens in lieu of starting with baby chicks. While it might seem easier to purchase adult hens, I would highly recommend starting your backyard flock with baby chicks. In doing so you will find that they will be much better socialized to you and your family. Depending on the amount of hands-on care you provide, your chicks will soon become like any other family pet and may even greet you at the end of a busy day! 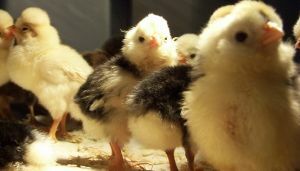 Baby chicks are available from a number of sources and can be purchased in the spring at many feed stores and also online from well known hatcheries. If breed and size are important to you do a little research prior to your selection. It is easiest to obtain chicks in the early spring since this allows them several months to grow and better tolerate outdoor temperatures. Start your backyard chickens with females, not males. 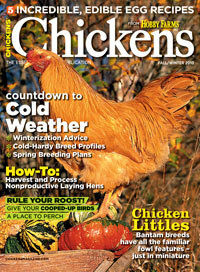 Sexing chicks isn’t 100% accurate, so don’t be surprised if you end up with a cockerel instead of a pullet. Keep your baby chicks clean and warm with constant access to chick feed and fresh water. 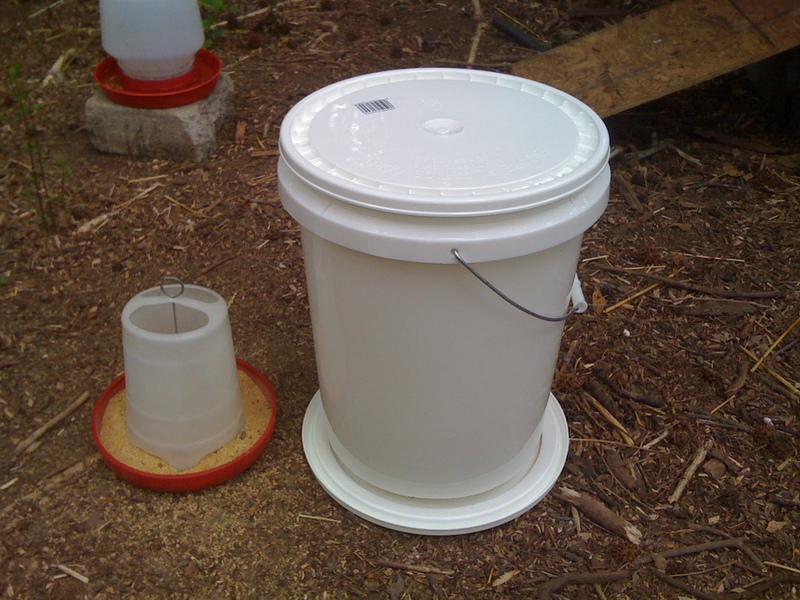 You can make a brooder using a large plastic bin lined with old towels, a quart watering jar, and a food tray. The towels will provide traction for the little one’s feet and should be changed everyday when cleaning the bin.Food and water containers should be replaced on a daily basis as well. 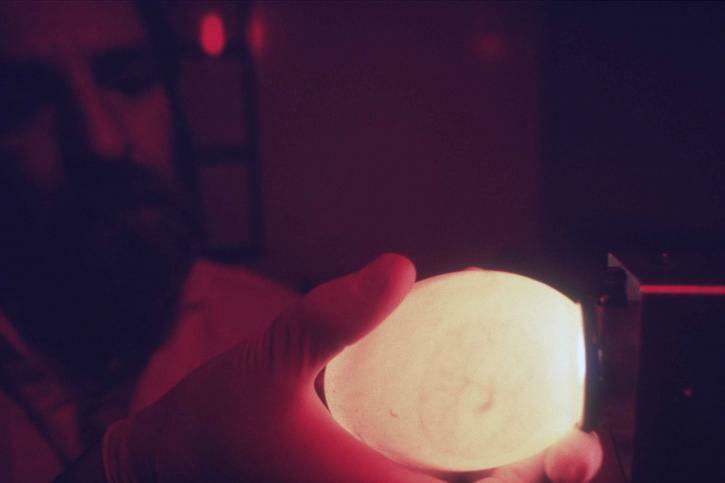 Bottom line – clean, warm chicks will thrive; dirty, cold chicks will die. 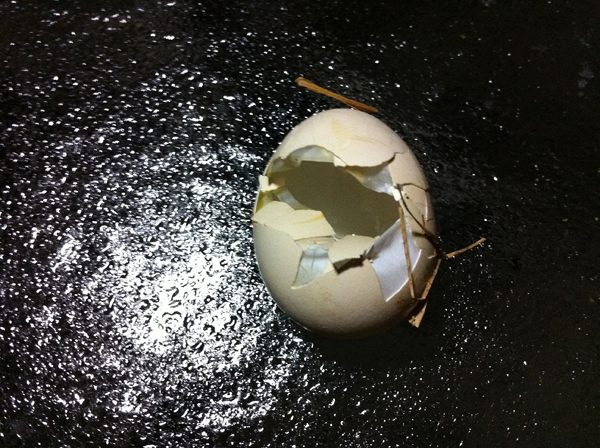 Regardless of your best efforts, some chicks may die anyway, especially if you are new to chicken husbandry. Resource books are always a great idea and should be read cover to cover to answer questions before you begin. If you can get your baby chicks past the first week or so, chances are they will grow into a healthy flock of backyard chickens. Hens are wonderful, friendly creatures with unique personalities that offer us eggs, insect control, and rich manure. Regardless if kept them as pets or as working farm animals they will provide a tremendous amount of enjoyment and satisfaction in return for your daily commitment. Starting a chicken husbandry at home will also open a new window into the world of nature and your part in it, which makes for a wonderful family education, too! Building A Chicken Coop will quickly get you started with your chicken husbandry; including chicken coop plans, daily-weekly chores, breeding tips, chicken predators and more. Contrary to what you may think, there are no fancy tools required to build a chicken coop when following the building plans that are laid out in this e-book. These plans are especially designed so that all you will need are some basic tools like a hammer, handsaw, drill, etc… Discover how to build a chicken coop and save up to 50% in the process! Good point about insect control. Chickens are wonderful tick eaters (helping to control Lyme Disease) and great hunt and peckers for hive beetles (affecting the health of honeybees and their hives. I’m very excited about my new chickens for that reason. I’m hoping they will help control the ticks for my dog.